Margin analysis first identifies areas where gross and contribution margins are not aligned and then isolates the factors that have the biggest impact on margin at the SKU or category level. Most retailers are struggling to maintain profits because product assortment is expanding while margins are shrinking. Retailers fighting that battle by tracking gross margins are wielding a butter knife against the automatic weapons online discounters have been using for years. Want to level the battlefield? Say hello to your new weapon: contribution margin analysis. We might as well call gross margin the mythical margin. Like a mythical beast in a grainy photograph, when we investigate, it disappears. The reality is that cost of goods sold is only one of dozens of factors that affect margin, any one of which could tip the scale into loss instead of profit. 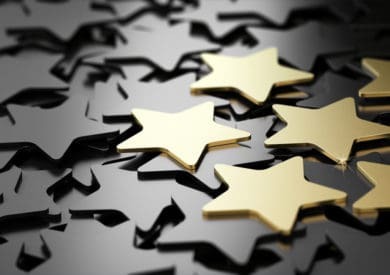 Analyzing contribution margin opens up new opportunities to improve profitability in the areas of price optimization, vendor negotiation, marketing performance and shipping and inventory management. Figure 2 illustrates the story of profitability as gross margin vs. contribution margin using a children’s backpack as an example. The line representing gross margin might stay flat while the contribution margin can fluctuate above and below the line of profitability. 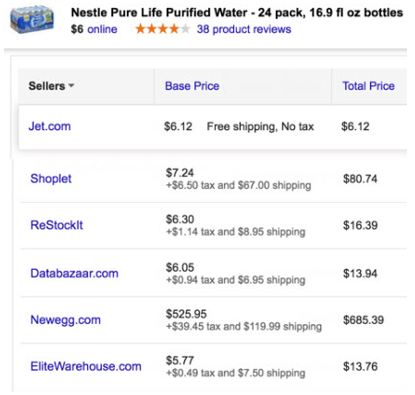 In another example — Figure 3 — Jet.com offers free shipping for a 24-pack of Nestle Pure Life Purified Water, but, because this item weighs 25 pounds, the shipping cost most likely outweighs the price of the water itself, as reflected by competitors’ pricing. On the surface, a gross margin analysis could show a case of bottled water to be a strong performer for Jet.com, but a contribution margin analysis reveals the true story. If this SKU is a frequently purchased item, Jet.com might want to improve contribution margin by charging shipping or use another tactic to make sure this is only offered to new customers who they can make back the cost on over time. Margin analysis first identifies areas where gross and contribution margins are not aligned and then isolates the factors that have the biggest impact on margin at the SKU or category level. Armed with this information, retailers can optimize prices to compensate for previously hidden costs and negotiate with vendors to tilt the cost-structure battlefield in their favor. Accelerated product lifecycles and market demand for wider assortment can bloat inventory. Because inventory holding costs can have a significant effect on contribution margin, analysis can identify opportunities to maximize profitability (see Figure 4). For items where inventory is high and the contribution margin is low, retailers can cut prices to clear out low-margin product to optimize inventory real estate. Or they can return the stock to the vendor to contain the potential loss. Inventory analysis can also flag high-margin items that are under-stocked, enabling retailers to strategically manage inventory. For omnichannel retailers, the cost structures can differ significantly between channels. Through contribution margin analysis, we can improve margins by stocking each item in the channel that will maximize profit and by pricing it appropriately for the channel. 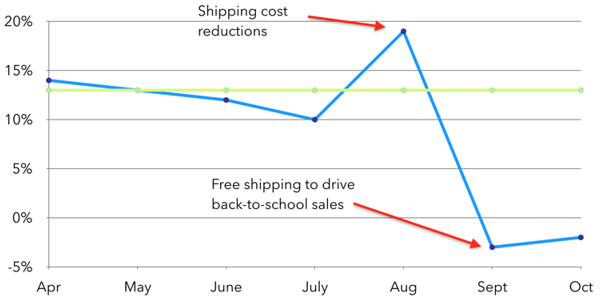 Returning to the issue of prohibitive shipping costs, as with the bottled water example in Figure 3, retailers could offer it as an in-store-only item. Another strategy is to leverage the differential in contribution margin costs between channels. Suppose a free-shipping cost model drives the price of a toner cartridge 25 percent above your competitor’s price. Contribution analysis shows that the inventory holding cost for this item in a brick-and-mortar store is significantly lower than the shipping cost for the online store. By pricing a mobile-only, in-store pickup deal below the price of their competitors, retailers can capture the sale while simultaneously driving traffic to the local store. When planning a strategy, gross margin is a blunt weapon with limited reach. Instead, contribution margin is the automatic weapon that can target competitors with surgical accuracy. All of the heavy lifting in contribution margin analysis is automated, freeing retailers to focus on strategy and tactics. And that’s a winning strategy. Boomerang Commerce provides price-optimization technology and competitive intelligence for online retailers and brands.